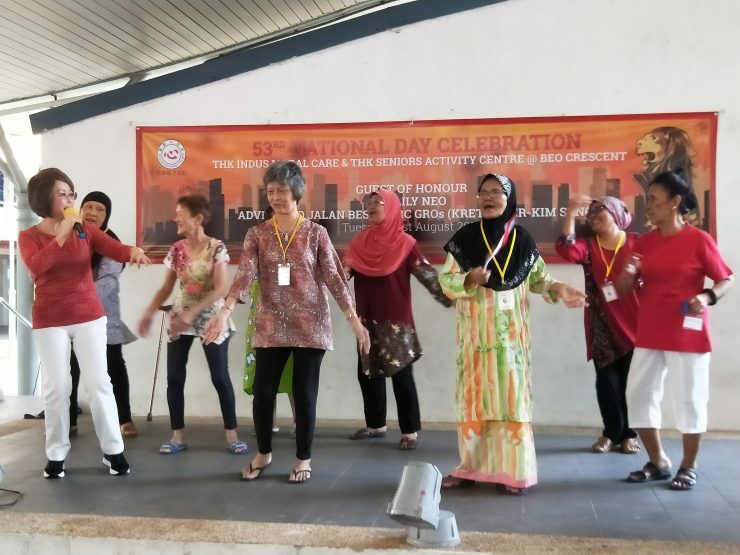 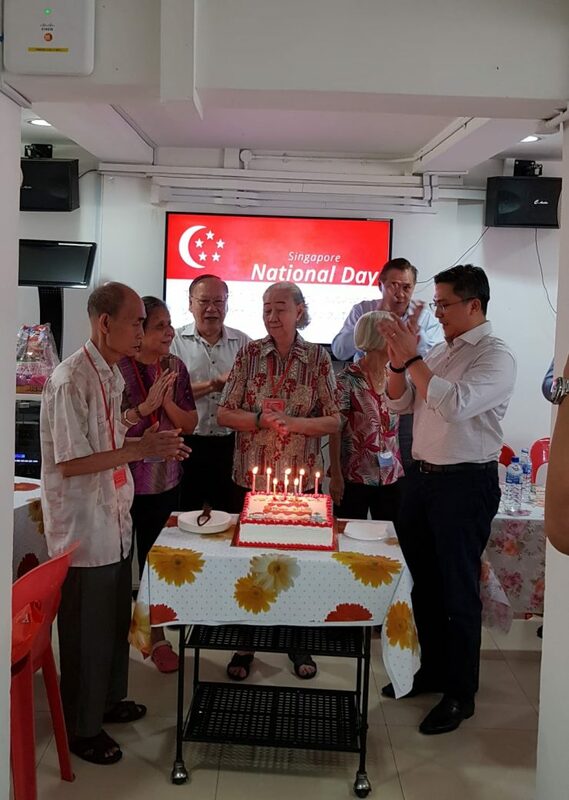 Ms Joan Pereira, Member of Parliament for Tanjong Pagar GRC celebrating National Day with our elderly from THK Seniors Activity Centre @ Henderson (Satellite 93) and THK Seniors Activity Centre @ Bukit Merah View. 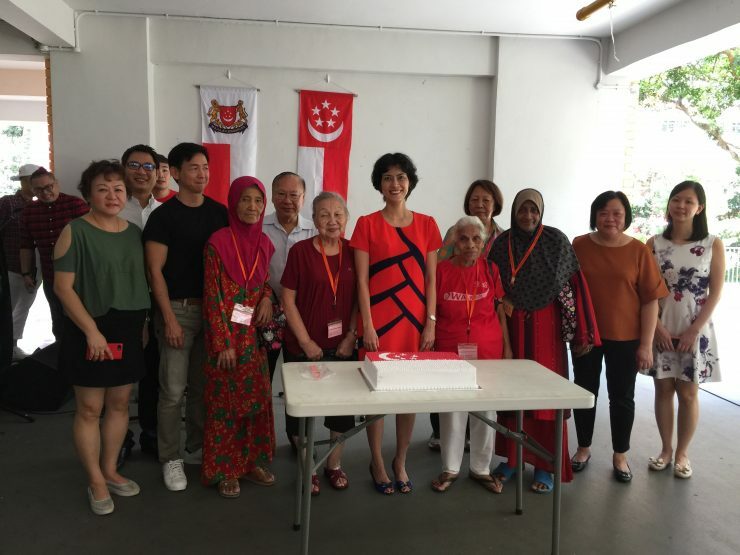 Dr Lily Neo, Member of Parliament for Jalan Besar GRC sharing the stage with the performers during the National Day celebrations organised by THK Indus Moral CARE and THK Seniors Activity Centre @ Beo Crescent. 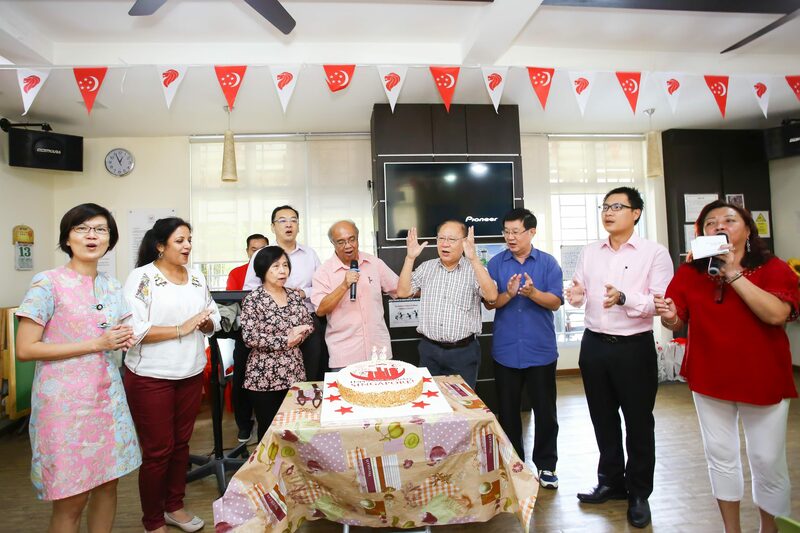 August is the time to celebrate in a sea of red and white for the birthday of our Nation! 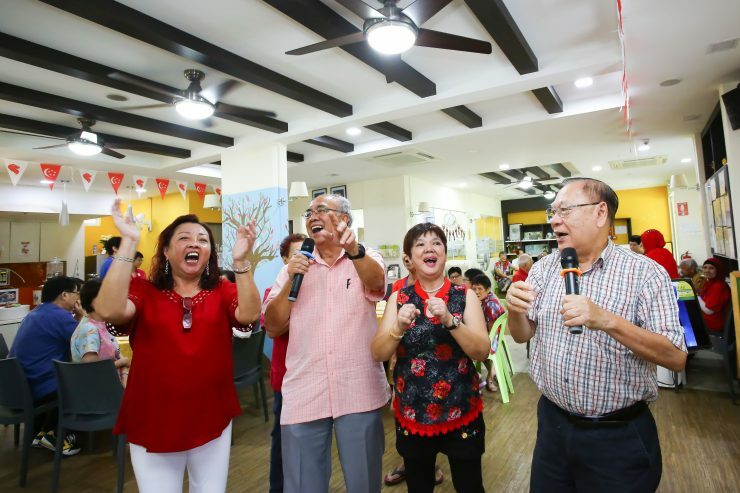 Throughout the month of August, THK centres located islandwide showered love in their own ways to Singapore’s Independence Day, declaring their pride and patriotism through dance and celebration!